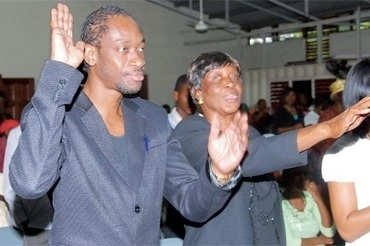 Dancehall star Bounty Killer is preparing to lay his mom to rest on Saturday March 17th. The funeral service will be held the Swallow Field Baptist Church. The funeral will begin at 12 noon and a host and musician and other music industry professionals are expected to be in attendance. In a statement release to Urban Islandz, Bounty Killer said he is calling on mourners to be on their best behavior. “Miss Ivy was a respected christian woman so no loud music, smoking or drinking. Let’s pay our respect on our best behavior,” Bounty Killer said in the statement. 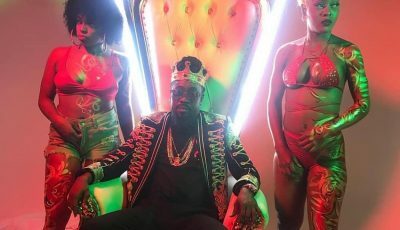 The dancehall icon is also asking everyone attending the funeral yp wear black or white. The late Miss Ivy Williams passed away on February 26 at the age of 71.
bounty keep strong mi know yu love mama ivy. condolence bounty killer m\iss ivy rest in peice.